Hello everyone, sorry that I have not written anything in the past months. I have been mostly focusing on my Youtube channel and school, which took most of my time, and did not allow me to write more often. Today I want to write about something other than 3D printers. I have been doing some researching for a while ever since I got my Orange PI PC, I have tried a lot of the community created images and they seem to have the tendency of all having the same issues. They all most of the time do not allow you to use all of the USB ports on the board at the same time, tend to have old kernels, as well as having overheating issues (which seems to be the worse of them all). I have only found one image that seems to work decently so far and it has been the Ubuntu mate one. If I am not mistaken, this image is a Ubuntu 15.10 based image. It works well, no USB issues or any of that, but it still has the overheating issue. The overheating problem can be fixed by following some tutorials, I followed this video and it helped me solve the overheating problem in it. He goes through an unboxing, setup and fixing of the image. Still, I wanted to find a better option that will not require any setup, other than burning the image and having everything ready to go, and I did find it. While I was doing digging online, I found a site that kept constantly popping out, which I never really paid attention to. This site was the Armbian site. I checked it out and they had an image of Debian Jessie which perfectly works out of the box. The CPU seems to be slightly overclocked by default but it should not be a problem. It is overclocked by 0.09Ghz which is not as bad as the 0.3Ghz in the community images. 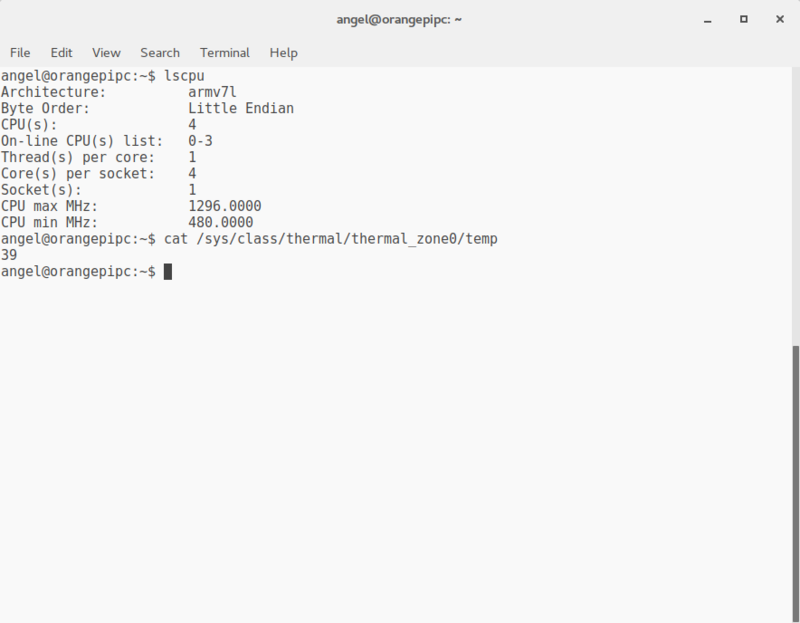 When executing the command “cat /sys/class/thermal/thermal_zone0/temp” to check the temperature of the CPU, I got a range of 39C – 41C while in idle. This is very good in comparison to the community images, which will hover around 49C and 60C for me, even after applying the thermal fix. Overall I have to say, I am very pleased and impressed as to how well these images have worked for me so far. The usage of these images at least for me, gave a bigger sense of reliability and worth to this Orange Pi PC boards. I will be sure to try some of the newer boards that include WiFi chips as well with Armbian and report on how they perform. If you would like to give these images a try, you can download them from the link below. Don’t forget to check out their quick start guide, they offer very good tips on how to properly set up the system. Note: This post was originally posted in my old website on February 08, 2017. To access that post you can go to click this link. Next Article The New Site!